While you never intend to buy something that won't last after wearing just a few times, can you imagine purchasing an item that will literally last you a lifetime? 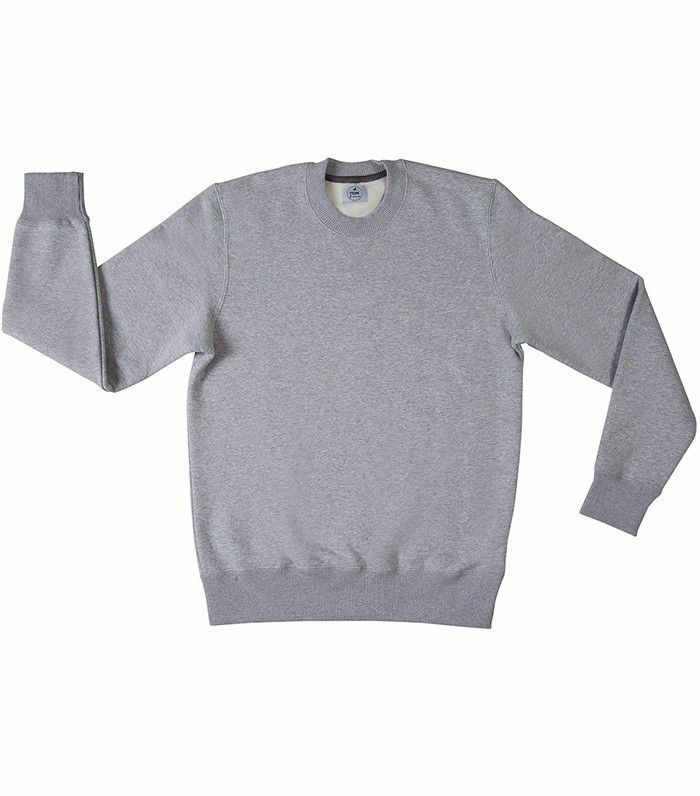 Well, as Glamour pointed out, UK–based 25-year-old designer Tom Cridland invented the perfect sweatshirt that is guaranteed to last for three decades. How? Thanks to special silicone treatment that helps prevent shrinking and piling. And how did he get to the number 30? "I asked them, 'Show me the oldest sweatshirts you guys have ever made,'" Cridland said to Reuters about his decision to work with a Portuguese team of craftsmen. "They've been in business since 1964 as a supplier and showed me a sweatshirt from the late 1970s which was still in perfect condition." The sweatshirts are also made of organic cotton and a bit of polyester—crucial for functionality, mobility, and comfort. Check out the sweatshirts here in a variety of colors, which retail for $82 with conversion rates. While they technically come in men's sizing, the sizes go from XS-XXL, so there's something for everyone. Plus, this style looks even better slightly loose (especially with slimmer bottoms). Keep scrolling to shop the sweatshirt for yourself! What do you think? Would you try a sweatshirt that would last a lifetime? Let us know your thoughts in the comments below!